RAW HOLLYWOOD : NEW VIDEO: DJ DREWSKI FEAT. MAINO & ROBBIE NOVA "MAKE IT OFFICIAL"
NEW VIDEO: DJ DREWSKI FEAT. 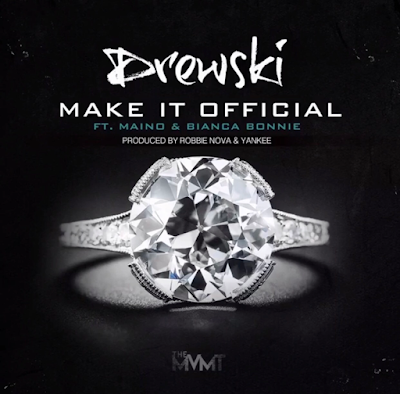 MAINO & ROBBIE NOVA "MAKE IT OFFICIAL"
Back in early December of 2016 Love & Hip-Hop: New York cast member DJ Drewski & Bianca Bonnie collaborated on a song called "Make It Official" that also features rapper Maino & Robbie Nova. The song was written for the NY dj's girlfriend Sky who is also on the show & as seen on the reality show it was a lot of drama surrounding the song & having Bianca on the record. Now months later the song has birthed a music video, but does not feature her on the song or in the visual.